So, we decided to sell our house in Wales and set about sprucing it up before eventually putting it on the market. Next we planned a much needed break in Italy and rented a villa by the sea in the Sperlonga area, just along the coast from Gaeta. We were soon winging our way to Naples Capodichino airport. With our feet firmly back on Italian soil we set about carrying out some more research of the area. During our two week stay we managed to somehow view twenty or so properties, in order to get a feel for what was available on the market and get a general idea of property prices. We were reassured that many of these houses seemed to be within our means and that many seemed to come with a sizeable plot of land attached. When we returned to the UK, we were bursting with enthusiasm for our new venture. We talked with my parents who said they would like to join forces and move with us, which was a very courageous decision, considering their age. However soon we were to discover that there was something of a down turn in the UK housing market and our house was proving frustratingly slow to sell, despite there having been several viewings. Our spirits dropped, as weeks turned into months and Christmas came and went. Finally in the New Year some splendid news arrived at last, a couple were very interested and had made an offer on our house. We were elated. At the end of January we flew out to Rome for another week, to start house hunting in earnest. One of our sons had chosen to tag along with us to see the area for himself. On this occasion we found that the mountains around Itri were delicately dusted with sparkling snow, yet the daytime temperatures remained mild, skies sunny and blue. We embarked on doing the rounds of the local estate agents. Generally Italian estate agencies differ greatly from those we are more familiar with in the UK. There are no eye catching photos of properties in the shop windows, and no pamphlets detailing the descriptions and specifications of each property for sale, rarely are agent’s signs displayed outside a property for sale. The typical Italian estate agent just thumbs through his list of available houses, and selects some houses “he deems suitable to show you”. Often these are not at all what you are looking for, and on occasions we found ourselves going to see houses that we had already viewed with other rival agents. However, we viewed as many prospective properties as was possible in the limited time available. We were seeking something that could easily be divided into at least two separate apartments, Paul wanted a property with some land, and our son wanted an extra room or two for himself and his musical equipment. 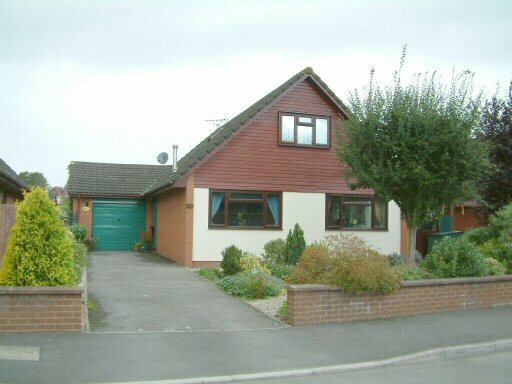 We whittled the list down to a couple of properties which especially impressed us all. The best option was a relatively new house, situated in open countryside with spectacular, scenic mountain views. It was just a 5 minute drive from the centre of Itri and just 15 minutes drive to the beautiful sandy beaches that line this region. 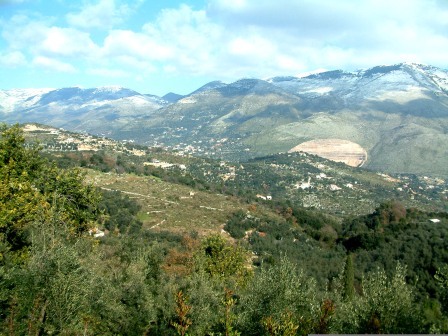 It came with a large driveway and a sizeable plot of land, planted with numerous fruiting olive trees. We met with the owner and estate agent several times, and we finally decided to put in a “proposito” or offer, which the vendor seemed very eager to accept. We learned that in Italy it is normal for the prospective buyer to put down an “acconto” (deposit) with the “proposito” , which can range from two to five percent of the total purchase price. We explained that we were not in a position to supply such a deposit until the money was released from the sale of our house in the UK. The vendor said “not to worry”, and forcefully shook Paul’s hand declaring that “we had his word that he would stick to this offer-“. We returned home once again to the UK and we realised that we had now fully committed to uprooting ourselves from our safe, familiar surroundings. We now had to commence organising ourselves for the big move. 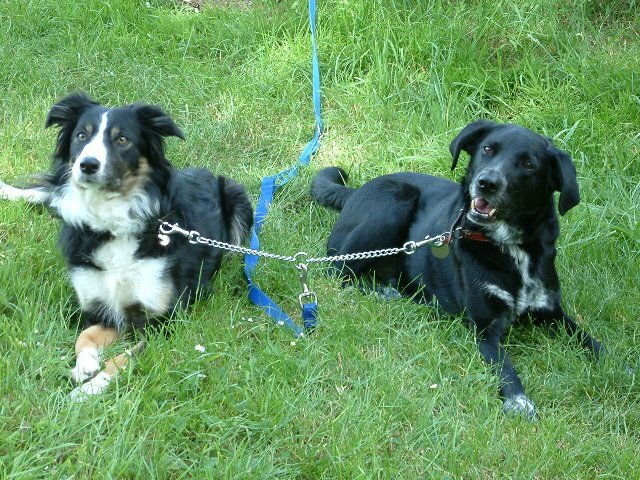 Firstly we needed to organise European Pet Passports for our two dogs, who were to come and live in Italy with us. We consulted the DEFRA web site regarding the Pet Travel Scheme and discussed matters with our local vet. We discovered that firstly the dogs’ general vaccinations needed to be up-to-date and that they were required to be fitted with microchip identification. They then had to have Anti Rabies injections, followed a couple of weeks later by blood tests, to confirm that the Rabies vaccine had in fact been effective. Then the vet could issue them with Pet Passports, recording all of the above information. I might add that this service did not come cheap, amounting to over £200 per dog, but we considered they were worth it !!! A huge milestone was when Paul actually handed in his notice at work. With just five weeks of work left to serve, he started to feel a little jittery. “What am I doing, giving up a steady job and a steady income, and heading off into the unknown!” “Flying by the seat of one’s pants”, sprang to mind !!! 1. Things we wanted to take with us to Italy. 2. Things suitable for a car boot or garage sale. 3. Things to donate to charity shops. 4. Things designated for the dump. As we began to pack we carefully numbered and recorded the contents of each and every box for future reference. They soon started to pile up and we began transporting them to a friend’s house, who had kindly offered us some valuable storage space in their sizeable garage. Then, just two days before Paul was due to leave work, our hearts sank as the rug was well and truly pulled from under our feet. Our solicitor rang saying there was a problem (in the UK) with our buyer’s buyer failing to exchange contracts on the house sale, which meant that we were unable to exchange contracts on our house either. Things then went from bad to worse, when shortly afterwards an email arrived from the estate agent in Italy, with the news that the Italian vendor, who apparently was suffering from health problems, had decided that the stress of selling his property was all too much, so had decided to withdraw his property from the market. The following week we were still waiting to exchange contracts on the houses in the UK, we no longer had a property in Italy ear-marked to buy and move into, and we didn’t have an income! Someone had suddenly moved all the goal posts !!! Yet Paul said: “Will somebody please tell me why I feel so happy?”. It must have been pure insanity kicking in !!! Albeit, we had a wonderful couple of days over Good Friday and Easter Saturday, with lots of friends and work colleagues visiting our “Garage Sale” and “House Cooling Party”. Long busy days, but it was so enjoyable to meet up and share farewell drink with so many people we had the pleasure of knowing over the years. The “Garage Sale” was far more successful than we could ever have imagined. It was quite astonishing just what people will buy!!! Then on the Easter Sunday it was the turn of our family to party, relatives travelled from far and wide to gather around us and wish us well, and quite a few tears were shed that weekend I can tell you. These celebrations were followed by another couple of good days packing, with the emptying house packed into boxes we were almost ready. We nervously waited on tenter hooks for the all important telephone call from our solicitor to confirm that the contracts had finally been exchanged. We were so relieved to discover that this time all had gone smoothly and at last a firm date was set for Completion. In fact we found that the extra week gained was a great bonus as we packed up the touring caravan, which was to be our home for the next few months. We checked and double checked that our passports and other important documentation were all in order and to hand. We finally vacated our house on the same day that the keen new owners took possession. It was all rather frenetic, despite us having thought we been super organised. Everything seemed to take an age, far longer than anticipated, and as the new owners were moving in – we were still trying to move out – it literally was “in one door and out the other”. Eventually we were literally left “out on the street“, with several of our belongings spread out on the pavement outside, awaiting transportation. We were so utterly exhausted after such a long, stressful day, that we decided to delay our departure for Italy by a couple of days, in order to refresh ourselves before embarking on the long arduous journey. This also enabled us to spend some extra special time with our nearest and dearest before our departure. For the time being my elderly parents were temporarily staying put in Wales, until we had found “the perfect little home in Bella Itri” to call our very own.